The Fall/Winter 2019 instalment of Toronto Fashion Week x RE\SET will run from February 5 to 7, 2019. Showgoers can expect the return of crowd favourites, such as the Toronto Fashion Week x RE\SET Showroom, tapings of the Fashion Talks podcast, and the Style Plate program — which are all set to take place alongside incredible runway shows from top Canadian designers, including Hilary Macmillan, Mikhael Kale, Christopher Bates, David Dixon, Mani Jassal and Narces. Plus, you’ll want to save the date for Yorkville Village’s brand-new Style Night event, taking place on Day 1 of the shows. The show schedule for F/W 2019 has just been released, and tickets are available for presentations by award-winning designers such as Mikhael Kale and Lesley Hampton, taking place at locations including the Gardiner Museum, Royal Ontario Museum and Yorkville Village. Availability is limited, so it’s best to reserve tickets for your must-see labels as soon as you can. An all-new event, Style Night will take place at Yorkville Village on February 5 from 6–9 p.m. Open to the public, the lively evening event will include a performance by Gia Gunn and Kimora Blac of RuPaul’s Drag Race, and the opportunity to preview the Spring/Summer 2019 collections of buzzy Canadian labels such as Greta Constantine and Michi. Stop by the Toronto Fashion Week x RE\SET Showroom, open from 11 a.m. to 10 p.m. every day during fashion week, to meet talented, independent Canadian apparel and accessories designers and shop their current-season collections. Exciting brands confirmed this season include Britt Watcher, ZOFF + Alan Anderson, Zoran, BIKO and Beth Richards. On February 6, the Hazelton Hotel’s Yorkville Room is the place to be for sumptuous cocktails and hors d’oeuvres prepared by Chef Mark McEwan’s luxe ONE Restaurant. Presented in partnership with #LiciousTO, the one-night-only event is an unique opportunity to hear industry experts share their thoughts the intersecting worlds of food and fashion. Reserve your spot now for Style Plate: Food – The New Fashion. In addition, a dozen lucky American Express members will have the opportunity to enjoy A Dining Experience with Sofia x Christopher Bates during fashion week. 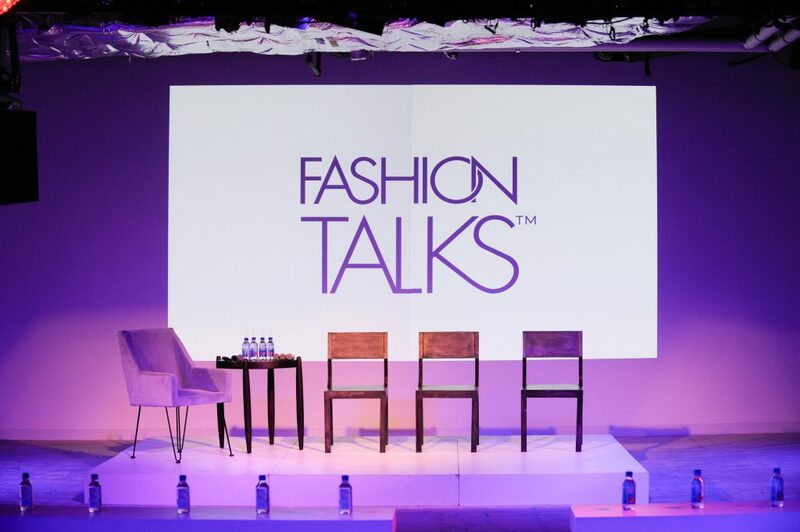 Whether you work in fashion or just adore all things style, the sheer calibre of experienced, accomplished creatives set to take part in the live tapings of the Fashion Talks podcast, produced in partnership with CAFA, is sure to delight. This season, host Donna Bishop will be speaking with trend-forecasting expert Carly Stojsic about cannabis as a new lifestyle category, iconic Canadian designer David Dixon about his latest collection, and leading a conversation about fashion’s socio-economic influence on neighbourhoods around the world. Tickets for these talks are available now.